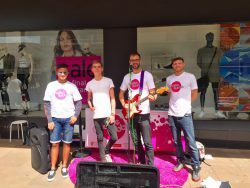 The Big Heart of Swansea have compiled a list of events and things to do with the family in Swansea City Centre this Summer that’ll keep the family entertained. K’Nex Trains, Tracks & Bridges: Tuesday 2nd – Saturday 6th August, 12.30pm-3.30pm – FREE. Add to NWM’s giant railroad track with your own train, tunnel, bridge, signal or level crossing. Toddler Time Monthly Movies [Bambi]: Wednesday 3rd August, 10.30am – FREE. Enjoy a free fun movie screening each month exclusively for preschool children and their parents or carers – plus a half price hot drink from the cafe. This classic Disney tale of a young deer and his woodland friends finding their way in the world has been a favourite for generations. Cloud Decoders: Monday 8th – Saturday 13th August, 12.30pm-3.30pm – FREE. 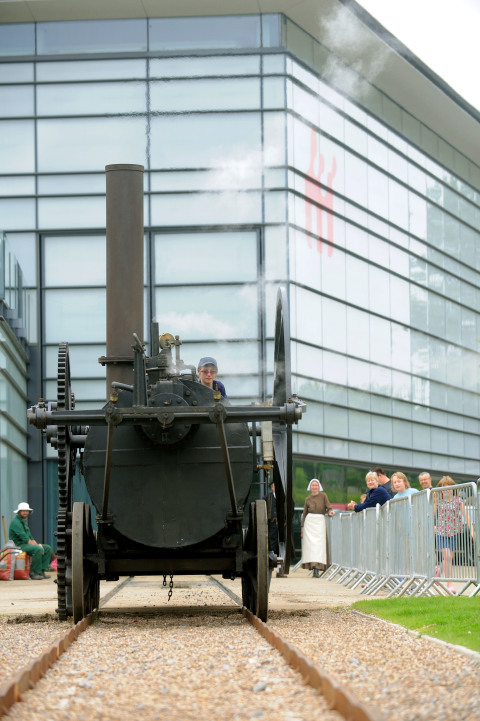 Summer Science: Tuesday 9th – Thursday 11th August, 11.30am, 1pm & 3pm – Booking Required. Join CBBC’s science communicator Jon Chase to learn about the fascinating Science of Summer and how to make a cloud in a jam jar. Suitable for age 7 and over. Pre-loved Popup Fair: Sunday 14th August, 10am-4pm – FREE. Do you love the charm of second hand and the unique beauty of quirky one-off vintage? From nostalgic finery and home ware, to accessories, books and trinkets, you are bound to find a bargain. Come and see a working replica of the world’s first steam locomotive as NWM fire her up and drive her down the track. Try your hand on a replica 19th century rope-making machine that twists long threads into a perfect twine. Go pirate crazy with Cutthroat Crafts, Fearsome Foes, Swashbuckling Storytelling, Knotty Fun, and take a selfie with Jack Sparrow! Pop in to make a mini match box suitcase to store your tiny treasures. 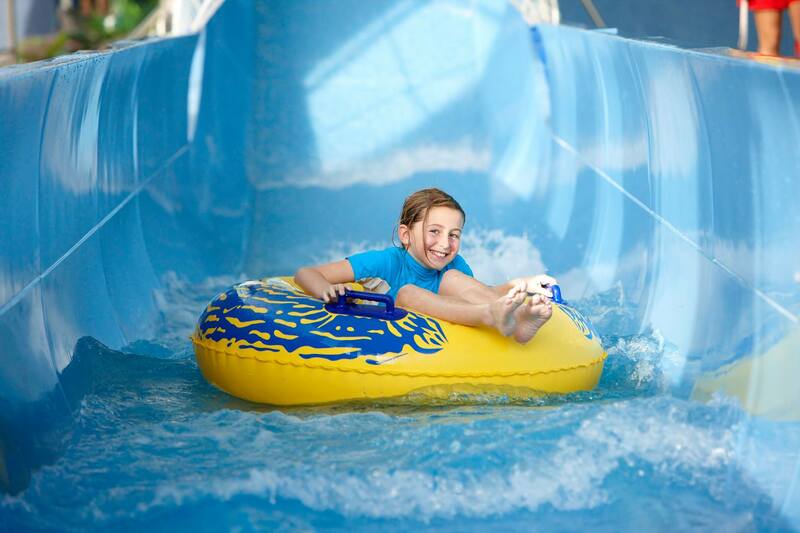 Wales’ biggest indoor waterpark based here in Swansea City Centre – open 7 days a week 9am to 8pm during the school holidays (up to 4th September). 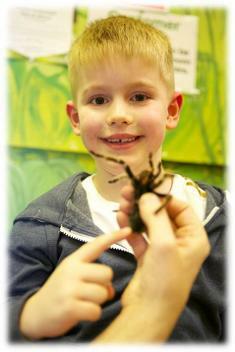 Animal Antics – Rainforest: Tuesday 2nd August – Thursday 4th August, 10.30am, 12pm, 2pm & 3.15pm – Children £4.50, Adults £5.50. Pre-Booking is essential. Animal Zone – Interactive: Tuesday 16th August – Thursday 18th August, 10.30am, 12pm, 2pm & 3.15pm – Tickets: Children £4.50, Adults £5.50. Pre-Booking is essential. 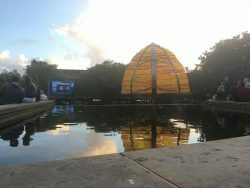 Come along and enjoy a unique experience at Plantasia’s exciting, educational and interactive shows. Get face to face with some jungle critters and learn what skills you need to survive in the forest. The Sound of Music: Tuesday 23rd – Saturday 27th, 7.30pm. Wed, Thurs & Sat Matinee’s 2.30pm – Tickets: £19.00 – £39.50. One of the greatest musicals of all time returns to the stage in a magnificent new production to enchant the young and the young at heart. This wonderfully lavish new staging tells the true story of the world-famous singing family, from their romantic beginnings and search for happiness, to their thrilling escape to freedom at the start of WWII. 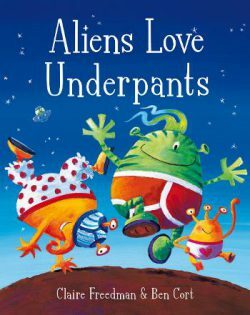 This zany and hilarious tale based on the best-selling children’s book is wonderfully brought to life on stage for the very first time. With stunning effects, madcap action, original music (and lots of aliens of course!) this fantastically fresh and funny production will delight the whole family. You’ll laugh your PANTS off! £1.99 per tickets (£2.79 for 3D) for adults and children, every day in school holidays! Kung Fu Panda 3: Tue 2nd, Thu 4th, Sat 6th, Mon 8th, Wed 10th, Fri 12th, Sun 14th, Tue 16th & Thu 18th August. The Angry Birds Movie: Mon 1st, Wed 3rd, Fri 5th, Sun 7th, Tue 9th, Thu 11th, Sat 13th, Mon 15th, Wed 17th August. 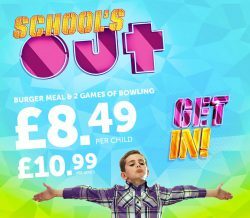 Magical worlds come to life before your eyes every Saturday, every Sunday and every day when school’s out for summer. And tickets cost just £2.50 each for little people and grown-ups alike. Here are a selection of films and times. Ratchet And Clank: Friday 29th July – Thursday 4th August, 10am. The Angry Birds Movie: Friday 29th July – Thursday 4th August, 10.30am. The Jungle Book: Friday 29th July – Thursday 4th August, 10.15am. It’s back! 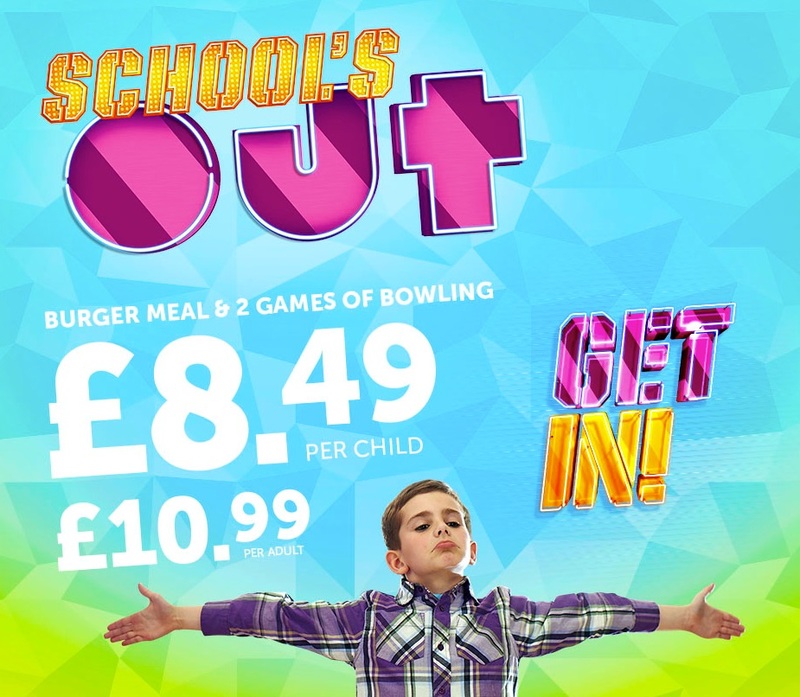 SCHOOL’S OUT Offer: Burger Meal & 2 Games of Bowling – £8.49 per child and £10.99 per adult. Join us in this extravaganza of stitch offering exhibitions, external street art, workshops, free taster sessions and much more. From Friday 5th to Friday 19th August, all that is best in textile art will be hosted by the City of Swansea. Creative Bubbles’ Summer Stage gives performers/poets/dancers/singers opportunities to perform outdoors in Swansea City Centre this Summer (Saturday lunchtimes July – September). This runs every Saturday for a couple of hours and showcases talented students, graduates and local talent to busy shoppers. Keep up to date with Creative Bubble on their Facebook page. Official Team GB Fanzone, Saturday 6th – Sunday 21st August, from 11am: FREE. Film – Minions: Wednesday 24th August, 12pm & 2pm: FREE. Sid from Ice Age on Tuesday 2nd August. Paddington on Tuesday 9th August. The Gruffalo on Tuesday 16th August. Fireman Sam on Tuesday 23rd August.